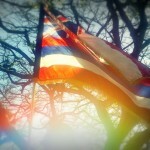 Photo by Seth Welcker. 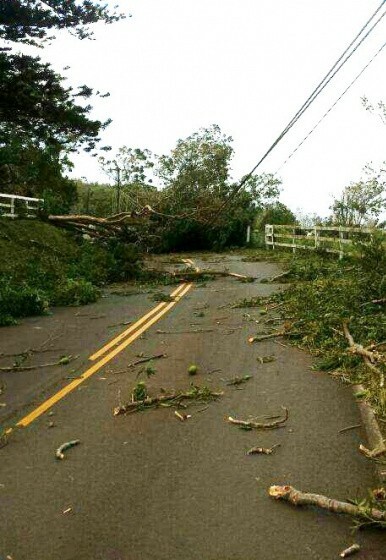 Trees and electric lines down on the Kula Highway past the ʻUlupalakua General Store during Iselle, 8/8/14. 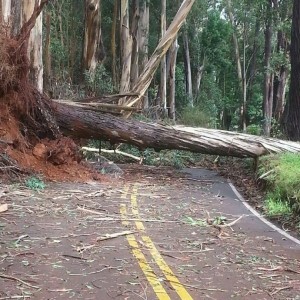 Q: I live on Ehu Road and there’s a neighboring property that has a lot of eucalyptus trees. During Hurricane Iselle one of the trees fell down and blocked our street for days; another one crashed down on my fence. Is there anything the County can do to make my neighbors take care of their trees? A lot of the trees on their property are next to the road, and the last thing any of the residents here want is another roadblock. Please advise. A: The County cannot get involved in what is essentially a civil dispute, unless the trees that fell were on a County property or right-of-way. The best approach would be for you and your neighbor to try to resolve the matter on your own; if that is not possible, the law states that you may file a complaint for damages in court. 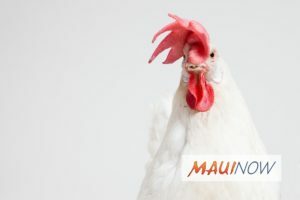 Ask the Mayor: Do I Have to Pay for My Neighbor’s Dead Chicken? 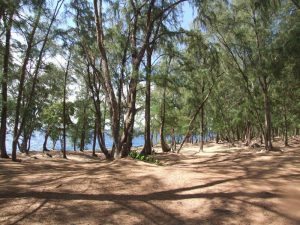 Ask the Mayor: What is Being Done with Trees on Piʻiholo Rd? 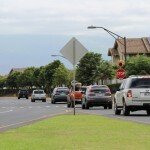 Ask the Mayor: Why are the Trees on Kaulawahine Street Being Cut?